Keep your bar, fridge, kegerator or whatever else you happen to be dispensing out of clean with the help of a drip trayfrom Installation Parts Supply. Drip trays can easily complement any drink filling station. 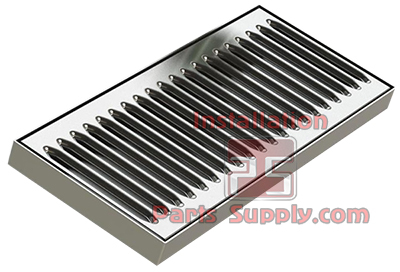 Drip trays are the perfect size for use with air potsand thermal server racks. Drip trays are also designed to catch drips or spills from other beverage dispensers as well. The Surface Mount style drip trays are designed to sit on the top or countersunk into any suitable surface.